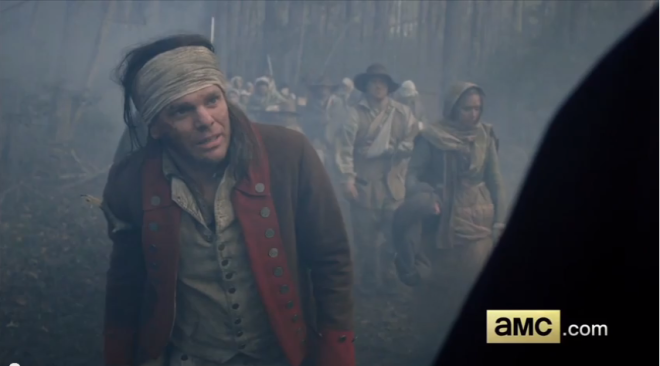 Click here to see AMC’s 30 second recap of Abraham Woodhull’s capture from the pilot episode of TURN. In a dark, subterranean cell in a contested border region, American officials question a man captured in the act of smuggling contraband goods. Not receiving the answers they want, the interrogators place a damp cloth over his face and submerge his head in water, convincing the prisoner he will soon drown. Mercifully for the man, who is now gasping for air and semi-conscious, the interrogation comes to an abrupt halt when a superior officer enters the room. This graphic example of American enhanced interrogation techniques did not occur along the borders of Afghanistan or Iraq, but instead on the Connecticut coast of the Long Island Sound during the American Revolutionary War, according to AMC’s television drama TURN. This prisoner was not a Taliban or Al Qaeda militant – just a Long Island farmer, Abraham Woodhull, who was trying to avoid the war while providing for his family. If the producers of the show were looking to invoke contemporary events in their telling of the Revolutionary War, they could have done little better than to portray makeshift waterboarding. Anyone acquainted with the Guantanamo Bay and Abu Ghraib prisoner abuse scandals will be left wondering: just how historically correct was this scene? How authentic are the show’s depictions of prisoner treatment in general? Several American mutineers (including the Bascombe brothers). Historically, the Continental Army in 1776 would have treated each category of prisoner differently. TURN gets this much right. Throughout the war, American forces had very different protocols for dealing with British regulars, uniformed loyalist troops, smugglers, counterfeiters, deserters, traitors, and others they deemed subject to civil prosecution. But how true to the historical record are TURN’s depictions? (1) The first prisoner, Abraham Woodhull, is captured while smuggling goods across enemy lines. The Revolutionaries, who controlled most of the land and consequently the lion’s share of fresh produce and provisions, wanted to deprive the British in New York of food. Smugglers could expect harsh treatment. Under a congressional resolution from 1777, smugglers could be sentenced to hard labor for the rest of the war. (See pg 784 here.) Continental authorities considered smuggling currency even more egregious. In 1778, Abel Jeans was convicted by court martial of smuggling money across enemy lines and sentenced to receive 100 lashes before being confined for the remainder of the war. This type of corporal punishment was very common in early America because it not only inflicted pain but also physically marked the guilty party as someone who had transgressed societal norms. Smugglers such as Jeans, however, were only punished after a formal court martial or civil court proceeding. In TURN, Woodhull received neither. This entry was posted in Guest posts and tagged Abraham Woodhull, amc turn, benjamin tallmadge, Caleb Brewster, Charles Scott, John Graves Simcoe, military history, mutiny, prisoners of war, Revolutionary War, smuggling, torture, TURN, turn amc. Any Virginians in the house? Todd Post, an avid researcher of the Second Virginia regiment, has a few things to say about their unexpected cameo in the latest TURN episode, “Of Cabbages and Kings.” Definitely worth a read if you’re trying to make sense of the TURN’s convoluted timeline or keep track of the liberties it’s taking with military history. The following post is reblogged from the Second Virginia WordPress blog page. The AMC series Revolutionary War drama TURN is loosely based on the Culper Ring, a spy ring organized by Major Benjamin Tallmadge which operated primarily in New York, Long Island, and Connecticut. Episode 3 – “Of Cabbages and Kings” opens with Tallmadge and General Scott encountering a group of retreating soldiers and refugees. They confront one of the soldiers and ask what regiment he is from. After the soldier avoids the question, Scott goes on to say “You’re 2d Virginia Regiment, you’re supposed to be at Fort Lee.”, to which the soldier replies with his account of the fall of Fort Washington and evacuation of Fort Lee. While the entire series thus far has taken liberties with the historical timeline, none of the story in this brief scene as it relates to this soldier of the 2d Virginia Regiment has any basis in historical fact. Greetings, readers, and welcome to Week 3! The demand for historically-informed commentary about TURN is clearly very high, as evidenced by the whirlwind of the past few weeks here at “TURN to a Historian.” I want to take a moment to thank the fans and readers who have submitted questions and comments via social media or the “Ask a question” page or comments threads on this website — your input helps immensely by letting me (and other guest writers) know exactly what people are spy-curious about! This is the first post (of many, I hope!) that will address a reader-requested topic. Today we’re discussing the most talked-about item of clothing in the TURN series so far: Abraham Woodhull’s gray wool cap. Yes, you read that correctly. There’s been plenty of talk on social media about women’s too-long gown sleeves and John Andre’s bizarre little braid and the shiny brass helmets of Tallmadge’s dragoons – but none of those have generated as much buzz as Abraham Woodhull’s highly covetable “beanie,” as it’s often referred to on Twitter, tumblr, and Facebook. 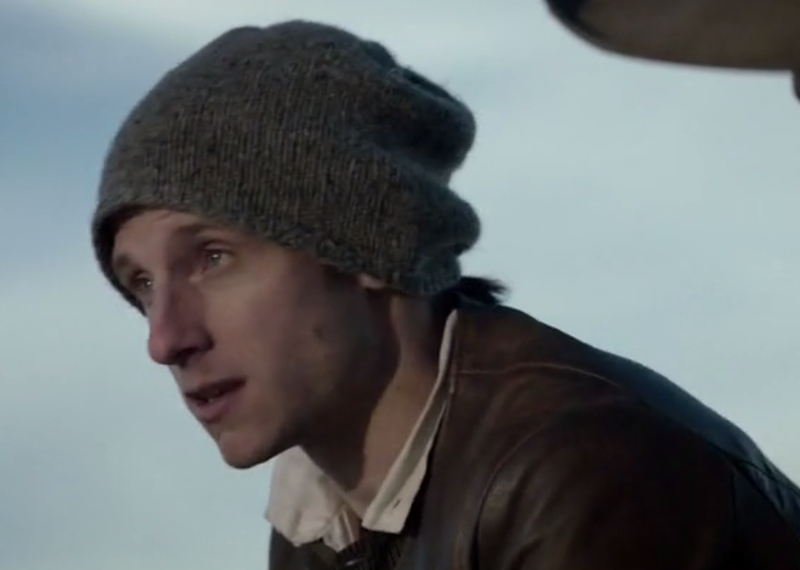 Of all the material culture shown on TURN thus far, I never would have guessed a humble workman’s cap would be the thing to go viral. Perhaps it’s because the simple hat looks so familiar and modern to 21st-century eyes. In fact, some of you might own a knit cap that looks nearly identical to the one pictured above. While knitted caps came in a variety of shapes and sizes in the 18th century, the gray cap seen in TURN closely resembles a Monmouth cap, a simple knitted wool cap popular among seamen and other working-class men because they were functional and inexpensive. Monmouth caps, named after a bustling port city on the English-Welsh border, were a common sight throughout the British Empire for centuries – they’re mentioned by name in the works of Shakespeare and remained popular well into the 19th century. And depending on what you use as an example, you could make a good argument that Monmouth caps are still with us, in spirit at least, in the shape of modern-day beanies. So that wraps up our first reader requested blog post topic. More to come soon! Thanks to all you fans and loyal readers for your support thus far — and keep the questions and comments (and amazing tumblr gifsets) coming! This entry was posted in clothing, material culture, reader request and tagged 18th century clothing, Abraham Woodhull, amc turn, beanie, cap, men's clothing, monmouth cap, TURN, turn amc. I have been contacted by someone closely connected with the production of TURN who expressed concern about the tone of the previous blog post. Let me be perfectly clear: “TURN to a Historian” DOES NOT and never will advocate, encourage, or endorse the illegal downloading of copyrighted material (including episodes of TURN) or any other form of piracy. Since this blog has a vested interest in the ongoing success of TURN, the thought that we would encourage readers to undermine the show financially is pretty silly. Viewers should support the show in whatever way they are able, and for most people, that involves watching TURN via cable or purchasing episodes individually on iTunes or Amazon. Some fans, however, may not have the financial means to purchase conventional access to cable TV shows, and I meant to suggest that they seek out episodes of TURN via legally alternative means — for example, gaining online access or checking out DVDs from their local library (It IS National Library Week, after all!) or organizing a viewing party at a friend’s house, community center, or historical society. These “alternative sources” are just some of the many ways to legally view and support the show that do not involve illegal downloading or piracy. If you know of a place where such a gathering is taking place, by all means, I hope you will generously share your “secret intelligence” with fellow fans — either here in the blog comments, on Facebook, Twitter, tumblr, or through your own channels of communication. The very existence of this blog revolves around using TURN as a source of historical discussion and we want to welcome as many people into that discussion as possible, regardless of their financial status. So huzza for history, cheers to the ongoing success of TURN, and a pox on internet piracy. We are NOT a fan of the latter here. Any playful suggestions of spycraft written on these (web)pages should NEVER be read as an invitation to partake in piracy. Carry on, dear readers! 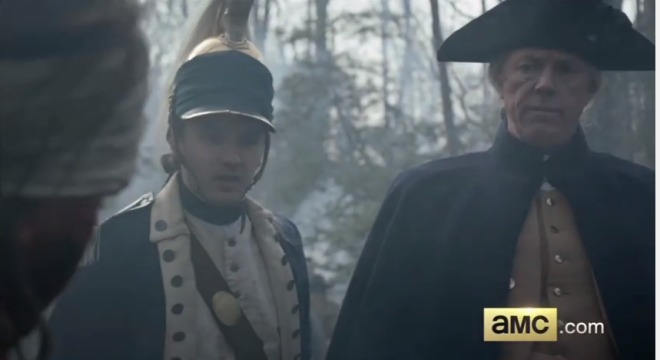 As of this morning, AMC has made the second episode of TURN, “Who By Fire,” available online at http://www.amctv.com/full-episodes/turn/3466609710001/who-by-fire. The rumors I heard about AMC offering the first several episodes of TURN completely free of charge have, unfortunately, been proven false. The episode IS free to view on AMCtv.com for the next 27 days — if you can prove you’re a cable subscriber. You will need to login via your cable subscriber’s website first before viewing the full episode on AMCtv.com. (The pilot episode of TURN is still available for all to view, free of charge, no login required.) Amazon Instant Video requires payment to purchase Episode 2 in any form. AMC will also be showing multiple re-runs of episodes 1 and 2 throughout the week, so check your local listings if you want to see it again “on the air” over the next few days. Or, since many of you reading this might be of the clandestine persuasion, you might be able to check various social media outlets for other suggestions on how one could view “Who By Fire.” If you find an alternative source, I encourage you to consider disseminating your newfound intelligence among your fellow compatriots — exercising the appropriate amount of discretion, of course. Good luck! This entry was posted in Uncategorized and tagged amc turn, online episodes, TURN, turn amc, who by fire.